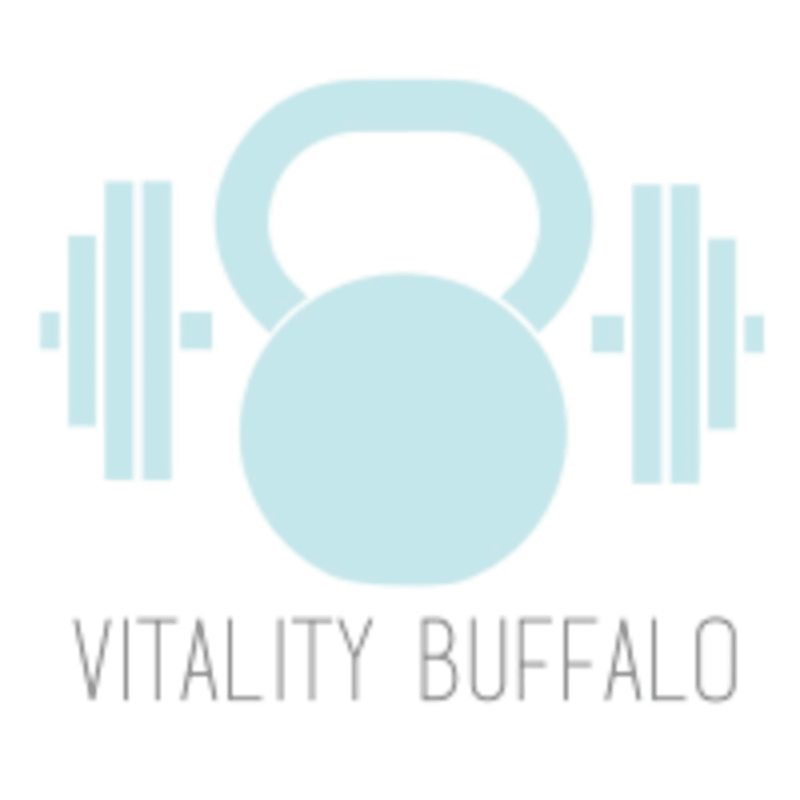 Start taking classes at Vitality Buffalo and other studios! This studio is built for moms and anyone else who may be intimidated by a traditional gym or is just plain sick of all the fitness hype. They do not believe in perfection. There are NO mirrors on the walls. They know that comparison is the thief of happiness and that family time will always trump “fitness” time. They celebrate EVERY success, and you will move past your shortcomings and your failures because they are a part of life. They are bringing a new kind of fit to families around WNY. Wear anything that you find comfortable and allows you to move fluidly & freely. This studio highly encourages working out barefoot, but if that doesn't appeal to you they only ask that you carry with you a clean, dry pair of sneakers to wear. This studio is located at 3720 South Park Avenue. They are located on the corner of South Park & Lake Ave, in the same building as All State. The door is in the back of the building, not on South Park Avenue. This is my fav class that Vitality offers. This was my 4th and favorite class so far at Vitality. The Mix really was a mix of everything, it was fun and I felt it! Thanks! The 30 min class was the perfect amount of time for core work while my 2 year old played in the playroom. What a great place for moms and little ones! I plan to go back tomorrow!